We have LOTS of great cats at HEART. They live in foster homes so we only bring a selection of them to our adoption center. The right cat for you and your family may not be at the adoption center on the day you visit. If it isn’t, our adoption coordinators will work with you to find the best cat for you. If you see a cat that you like at our adoption center we require an adoption application to ensure that both you and the cat are right for each other. Be sure to include on the application the name of the cat you’re interested in and where you saw him/her. Once approved, it normally just takes a day or two for you to get your new best friend. Please note that you don’t have to visit the adoption center to find a cat. Just complete the adoption application and once approved we will arrange a “meet and greet” between you and several cats that would be a good match for you and your family. 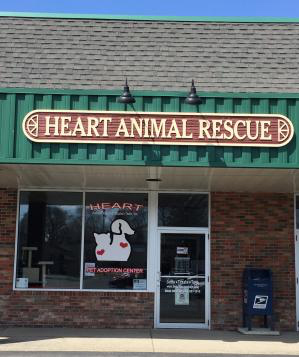 We normally do this at our Pet Adoption Center, as you have the opportunity to meet with HEART volunteers and interact with the cat at this location. We have an animal waiting just for you!